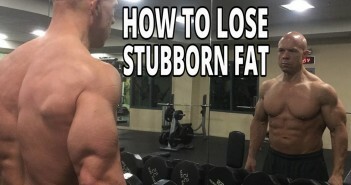 When you look in the mirror, do you see a physique that’s pretty darn good by most people’s standards—but not quite good enough to make you 100 percent satisfied? 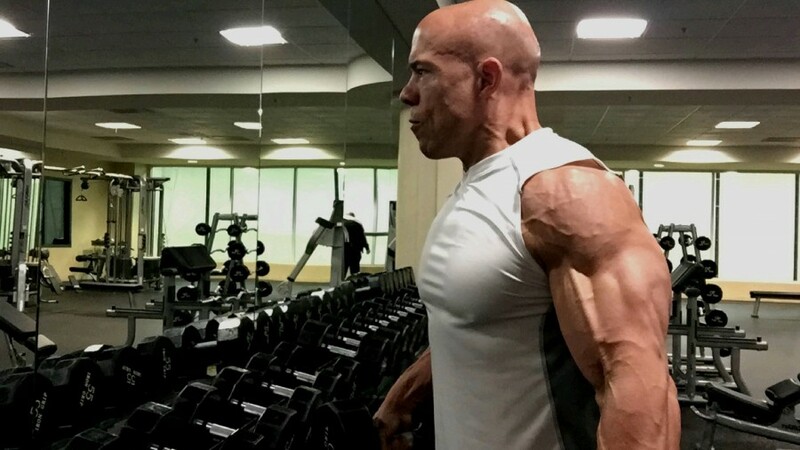 When you walk out of the gym after a well-planned, properly executed workout, do you sometimes feel that a particular session was great—but deep inside you know you’ll have to raise your intensity a notch or two? That’s if, of course, you are to ever achieve the body you really want. Although you always hear your friends telling you how disciplined they think you are, do you go through periods of time when you feel your current standards simply aren’t high enough? You’ve come a long way with your training—and you know it. But, regardless of what you’ve done in the past, do you oftentimes believe those accomplishments aren’t nearly enough to please you? 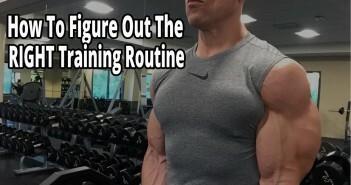 Even when you find yourself excelling in one particular area of your heath and fitness efforts, do you catch yourself start immediately focusing on another component that isn’t quite up-to-par in your opinion—without even taking a single moment to appreciate what you’ve been doing well? Even though you’ve learned a lot in the areas of training, nutrition, and supplementation in the recent past, do you feel you’ll never know quite enough to feel truly comfortable? To complicate matters further, do you sometimes feel guilty for not being content with what you’ve achieved thus far? You really know you should be very happy with your progress—especially when you compare yourself to others who would be thrilled with just a fraction of your success. How about you? Does there always seem to be this constant gnawing feeling of anxiety, restlessness, uneasiness, and being not quite good enough? Maybe you describe those feelings as being maladjusted, disoriented, or unorganized. Maybe you oftentimes feel out-of-sync, out-of-step, and sometimes even out-of-control. Can you relate to this never-satisfied feeling I am describing? Do you sometimes have trouble coping with this feeling you carry deep inside your gut? Do you sometimes think there is something wrong with you for feeling this way? Do think you need to follow your friends’ advice and quit pushing yourself so hard, chill out, enjoy the journey, stop and smell the roses, and—for god’s sake—just be happy once and for all? What’s going on in your head? Are you going crazy? When are you finally going to get your act together? Relax! I’m happy to inform you that you aren’t crazy. Rest assured that you probably don’t need to run to a psychiatrist for a prescription of Prozac, Zoloft, or Paxil. What you are experiencing, my friend, is what I call the “angst inside”! The angst you feel inside is quite common for a winner like you who is striving to become the very best at what you do. Angst, the uneasy feeling inside that causes you to continually strive for a higher level, is an emotion common among ambitious, highly motivated individuals like you and me. You are in good company—trust me! Even the people who are the very best at what they do have the same angst inside their guts as you endure. Anyone who has ever achieved success in his or her lives has had this angst inside of them as well. O’Rielly understood the tremendous power of the angst inside. He knew how to harness this force and use it make him better and what he does. This newsman realized that, if he wanted to stay at the top of his profession or take it to an even higher level, he’d have to embrace that angst inside of him—not diminish it. He’d have to recognize the angst inside as a purposeful tool and use it to his advantage. How are dealing with the angst that you feel? Is it driving you to an unbelievable series of accomplishments? Or, is the angst inside creating an overwhelming mental challenge and stalling your efforts? How you handle this angst inside can either make you or break you! Handled effectively, this emotion can be the most powerful, performance-enhancing, life-improving force you can ever experience. Mishandled or misdiagnosed, angst can be the most destructive mental roadblock you can ever face as you strive to reach your bodybuilding goals—or any other goals in life. There are tremendous rewards to be gained for effectively dealing with the uneasiness you feel. There are painful consequences to be suffered when you do not. Lesson #1: You must condition your brain to perceive angst as a positive emotional experience! The key to your continued success—both inside and outside of the gym—will depend on how quickly and effectively you turn this angst into power! What you may now be interpreting as a debilitating problem should really be viewed as an empowering asset. Effectively dealing with the angst you feel inside may all come down to your perception. Successful people realize that, in order to maximize productivity in their lives, they absolutely must create deadlines—and do so on a continual basis. Deadlines force you to step and up and use all of your physical, mental, and emotional abilities to the fullest. Without deadlines, why would you ever need to perform at your very best? Deadlines are a necessary evil. They can become quite burdensome and difficult to deal with at times. Without deadlines, however, there would be no real sense of urgency to get anything accomplished whatsoever—let alone accomplish tasks that produce outstanding results. Even if you don’t meet your ambitious, self-imposed deadlines, you will end up far more productive over time than those people who do not. Think of the angst inside of you is your own “mental” deadline. It’s like a little voice inside your head telling you, “Enough is enough! Now is the time that I must improve my situation for the better!” You should embrace the angst you feel inside the same way you view deadlines—a necessary evil needed to become a highly productive person. You must condition your mind that the angst inside is your friend—not your enemy. Many people spend too much time running away from the dissatisfaction they feel. They try to deny the angst they feel inside. If you really want an extraordinary physique, there will undoubtedly be an extraordinary price that you’ll have to pay. Isn’t that how everything works in life? Don’t be afraid to pay the price for success. Part of the price you’ll need to pay for success is effectively living and dealing with the uneasy feeling of angst. Many people mistake what the angst they feel inside represents. They misdiagnose this great force as an obstacle. Some people mistakenly believe that simply having this unsatisfied feeling means that they are in some way defective. They feel there is something wrong with them. They will eventually start assuming that, just because things are not happening for them as smoothly and quickly as they would like them to, they must be doing something wrong. They start questioning if they are really meant to be good at their particular endeavor. That’s not necessarily so. Just because something doesn’t come to you as easily as you would like, it doesn’t necessarily mean you are doing something wrong. It doesn’t mean you weren’t meant to be doing what you are attempting. The more you want out of life the more you’ll usually have to pay. This higher price you’ll need to pay may come in the form of extra effort, additional skills, determination—and more time dealing with the angst inside of you. If something doesn’t come easy, you may actually be taking the appropriate route. Would it make you feel a little more confident when tackling your challenges if you knew that you weren’t alone? Wouldn’t your angst inside be alleviated at least slightly if you knew that you were experiencing what everyone in your situation is experiencing—but you just never realized it? Remember, all successful people feel the same way as you do. What makes them successful is how effectively they handle their feelings. The difficult road you are traveling is more than likely the very same one those who have successfully overcome your same challenges have traveled. And, the uneasy feeling you have inside while traveling down that road is probably the very same feelings they had before they actually achieved success. So before you make massive changes in your approach or give up all together, make sure you are recognizing and properly dealing with the inevitable angst all of us have inside. Most of the time, success will be determined by your attitude. Haven’t you had experiences in the past when this angst I’m discussing turned out to be an empowering emotion? In retrospect, wasn’t dissatisfaction the feeling that eventually forced you to step up and demand more from yourself? In the long run, that seemingly uncomfortable feeling of angst made you a stronger and better person, didn’t it? Why don’t you simply use those references from your past to empower you now! Think about it for a moment. What was it that caused you to turn that angst, dissatisfaction, or discomfort in to a life-enhancing experience? More than likely, the anxiety of not taking control of the direction of your life became too painful and overwhelming. You couldn’t suppress or rationalize that fire in your belly any longer. You felt you had no other alternative other than to step up and change the direction in which you were heading. The key to your continued success is to use this powerful force inside of you sooner rather than later. Shouldn’t You “Enjoy The Journey”? But what about those who tell you to “Enjoy the journey,” “Stop and smell the roses, and “Chill out”? Shouldn’t you just try to make yourself be happy? If your mind is so powerful, can’t you condition it to just be satisfied with what you already have and what you’ve already accomplished? It would be nice if life worked that way, wouldn’t it? In life, however, you must constantly grow if you want to stay happy. What made you happy in the past won’t necessarily make you happy in the future. That’s just human nature. You will never be “there.” If you believe that a day will arrive in the future when you feel totally satisfied with all aspects of your life simultaneously, I think you are setting yourself for eventual disappointment. I don’t care how hard, how long, or how intelligently you work towards self-improvement in the future, that day will never come. Many times in life, the things that cause you the most discomfort and pain in the short term become the most character-building, life-launching experiences in the long term. Isn’t that how things usually turn out with your best weight training sessions? It’s those types of workouts—the ones when you are slightly fearful, exhibit courage anyway, and smash through physical and mental plateaus—that are the most rewarding in the long run. The same can be said for your cardiovascular training sessions, right? Your most satisfying stints on the treadmill were the ones when you wanted to quit halfway through your scheduled time because you were huffing and puffing so badly—but persevered. At the end of those somewhat painful but rewarding sessions, you didn’t only finish your scheduled time, you set personal distance traveled and calories burned records. Conversely, the things in life that appear to be the most pleasurable in the short run oftentimes become the most painful in the long term. Have you ever decided to miss a workout for no important reason? Whatever you thought you were going to gain by missing that day of training was soon negated by the feelings of being out-of-sync or letting yourself down. It only takes a few times cheating on your structured, nutritious bodybuilding diet to help you come to those same conclusions. The longer-lasting price you pay in guilt, momentum lost, and diminished self-pride is often too hefty of price to pay for the short-lived gratification of pigging out on junk food. People often rationalize their way out of feeling the angst. The bottom line is this: Success has a price. You can either pay a little now by effectively dealing with the angst you feel inside or a lot more later on by choosing not to deal with it. Whichever way you choose, you are going to pay something. Managing the angst now can be quite bothersome at times. There’s no doubt about it! Dealing with months or years or denying the angst can be devastating when are forced to look at all the time and God-given abilities you’ve wasted and can never get back. The choice is yours. Why don’t you become proactive? Decide right now what price you are willing to pay. I think I’ve been very clear which price I think you should invest into the overall quality of your bodybuilding efforts—and life. Hang in there. Be patient with yourself. Work with the angst inside. Embrace it. We’re all dealing with this same challenge on the inside—regardless of what it may appear to look like on the outside. And remember, the angst you feel inside is your friend—not your enemy.